These Pure Oxygen Laundry Whitener tablets will help you bring your whites back to life. They have been designed to remove stains and grime while also being free from harsh chemicals, optical brighteners and chlorine bleach. They are easy to use simply add one tablet with your detergent to the washing machine drum. 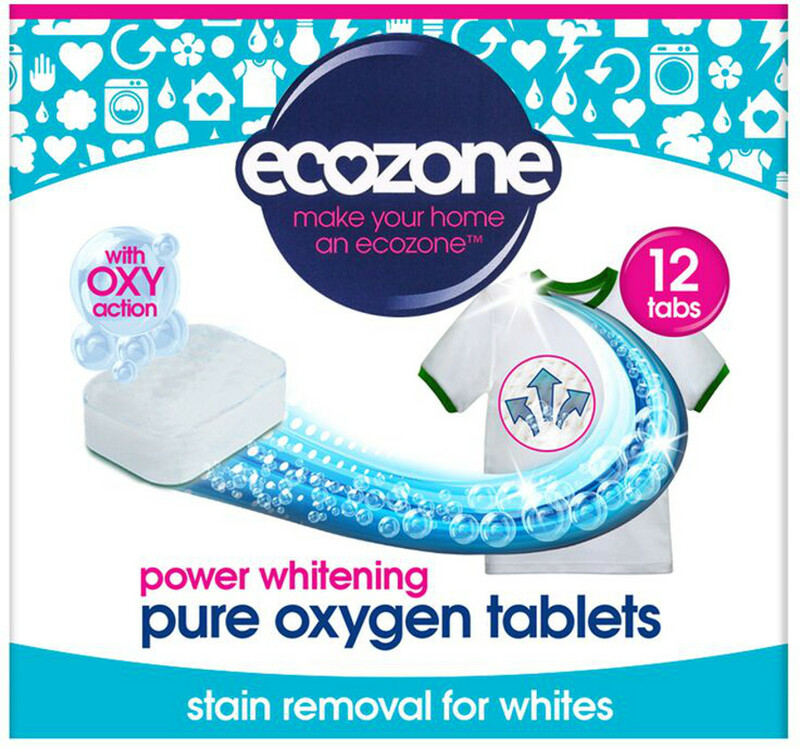 The Ecozone Pure Oxygen Whitener Tablets - For Whites - Pack of 12 product ethics are indicated below. To learn more about these product ethics and to see related products, follow the links below. Have been using these for whites for some time. I like adding one tablet to the whites for better results. I think they work. I'm not sure how much of a difference they make, but they are a lot less harsh than other products on the conventional market. Happily purchase them again. If you are a fan of the Ecozone brand then give them a go. There are currently no questions to display about Ecozone Pure Oxygen Whitener Tablets - For Whites - Pack of 12.